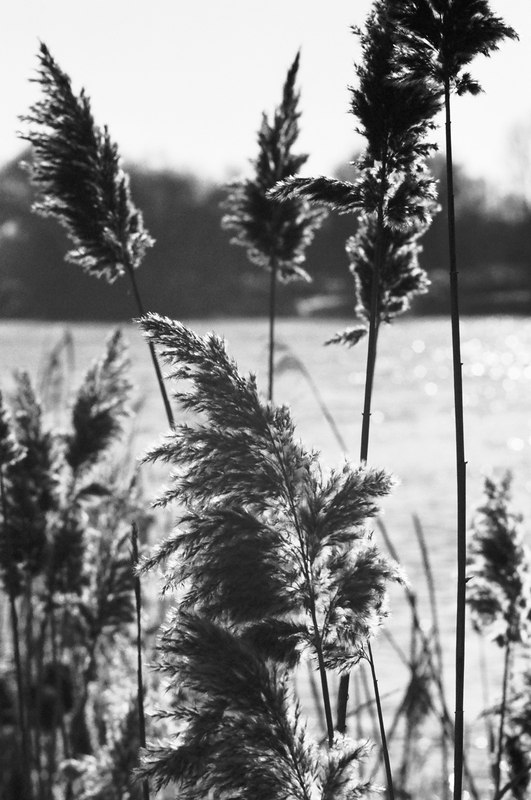 On December 25th, I was testing my latest acquisition: a second hand Nikkor 135mm lens (the f:3.5 AI model). 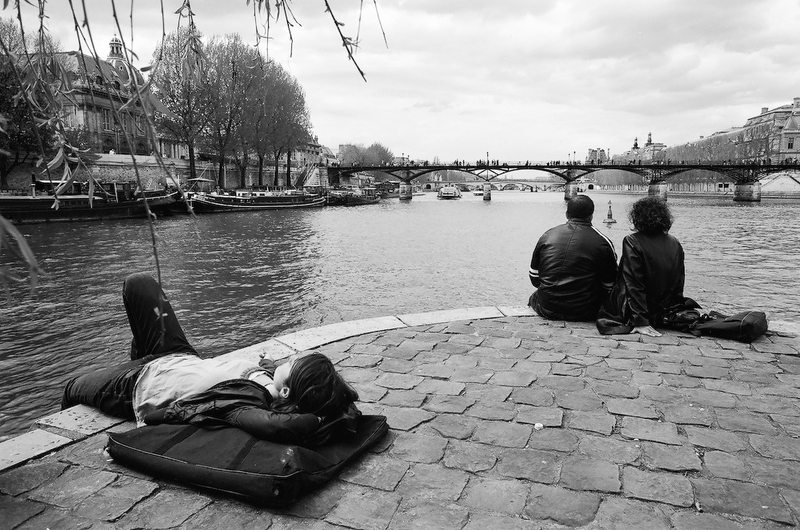 I had bought it the day before, in the most incredible store – Photo Cine Gobelins, in Paris. I would have probably paid less on eBay, but the lens was nice, and the purchase experience really unique. Imagine a store – minuscule even by French standards, maybe 10 feet wide and 6 feet deep, filled up to the ceiling with lenses and cameras. The store may be deeper. There’s no way to know. It’s so packed with stuff. There’s only enough room for one chair, where the owner of the place, Mrs Vu Dihn Hahn, is sitting. You enter the store. There’s hardly room for two standing people. You look rapidly around you, and, surrounded by this mountain of old equipment, you’re pretty sure Mrs Vu will never be able to locate the Nikon telephoto lens you’re asking for. You could not be more wrong. Obviously Mrs Vu does not need a computer to keep track of the inventory. She says she has two telephoto lenses, one pre-AI modified, one AI, and she announces the price. You’re surprised she could answer that fast, and you ask to see the AI model. In 10 seconds, she has escalated the north face of the mountain of equipment, and brought back a very nice Nikkor 135mm f:3.5. Its price is still labelled in French Francs (the French Franc was replaced by the Euro in 2002) so it must have been in Mrs Vu’s inventory for quite a while. But Mrs Vu accepts Visa, writes an invoice, and a few minutes later you’re the proud owner of a relatively expensive but nice Nikkor telephoto lens. Out of curiosity, I asked Mrs Vu a few questions about the rest of her inventory. She has a few bodies (from Nikon and other well known brands), lots of pre-AF lenses, but nothing really exceptional. Don’t expect a miracle, she knows pretty well what’s in store and how valuable it is, and you will not fool her. But she may have the lens or the accessory you have been looking for for so long, and it will likely be in a very good shape. 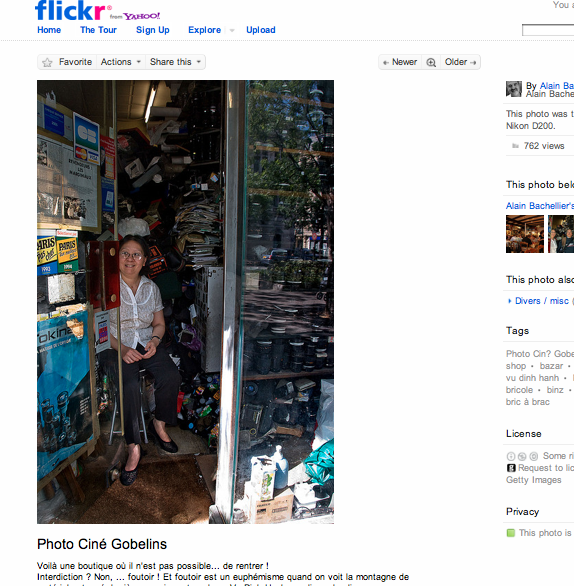 I did not take a picture of Mrs Vu’s store, but Alain Bachellier did it last year and posted a few pictures in Flickr.